Being the largest region in France, the Midi Pyrénées is a great place to visit as it has a huge variety of day trips and and beautiful places to see. During the time I live here I want to make sure that I make the most of the area, so over my next few posts I’m going to look at some of the essential places to go while over here! 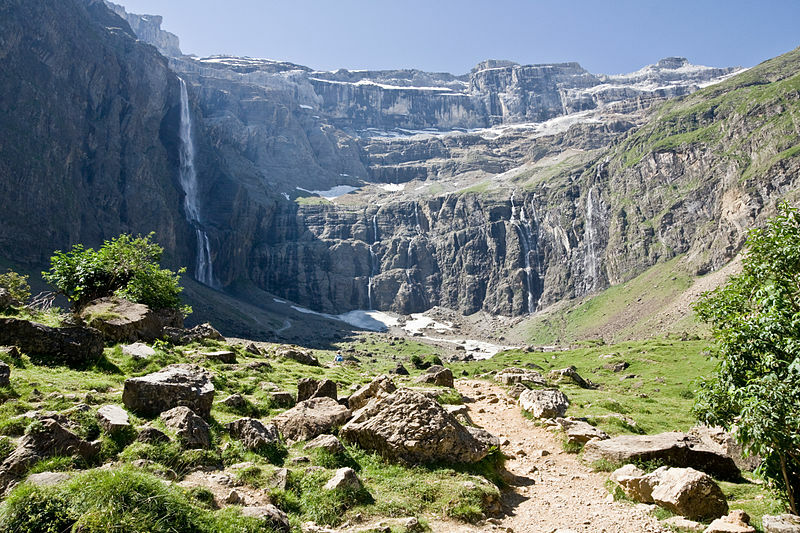 The Cirque de Gavarnie – A UNESCO world heritage sight, the Cirque de Gavarnie is a natural ampitheatre only accessible by foot and home to one of the highest waterfalls in Europe. The Pic du Baget – Is a mountain in the Néouvielle massif that lies within the Néouville natural reserve, a ‘must see’ on my list purely for its sheer beauty. 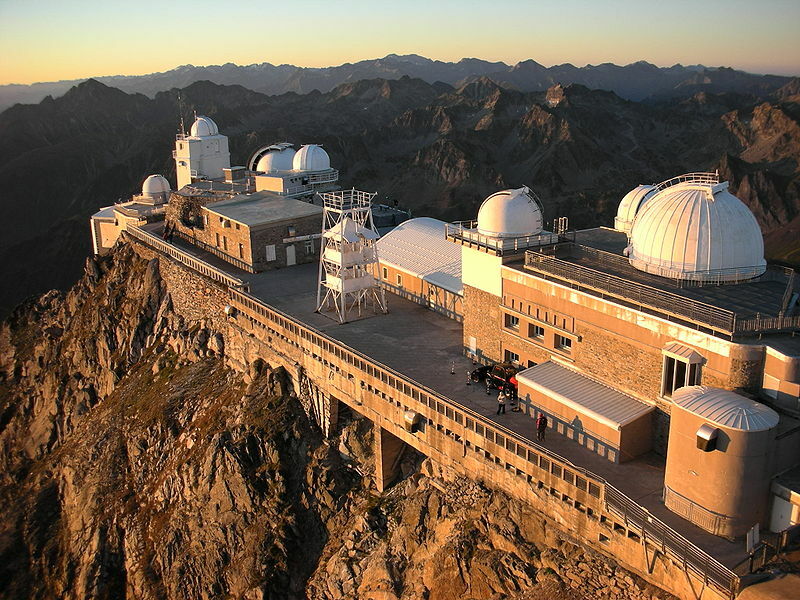 The Pic du Midi Observatory – An observatory that stands at a whopping 2,887 metres allowing you to get up close and personal with both the Southward Pyrénées chain and the Plains in the North. Don’t forget to visit the museum as well while you’re up there! 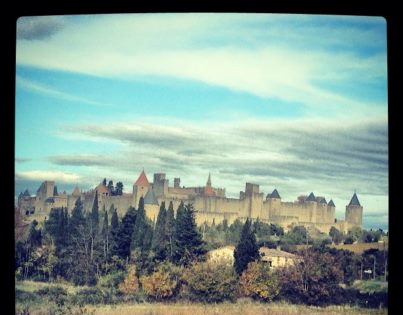 Keep your eye out for my next post as I’ll be looking at some of the ‘Must See’ towns in the Midi Pyrénées ….. So over the weekend we decided to take a short break to Barcelona to experience the city life and do some exploring……Only a four hour drive from Toulouse it was a lovely drive with some amazing views en route, the best parts of the journey had to be passing by the town of Carcasonne and driving along the coastal road of Narbonne. 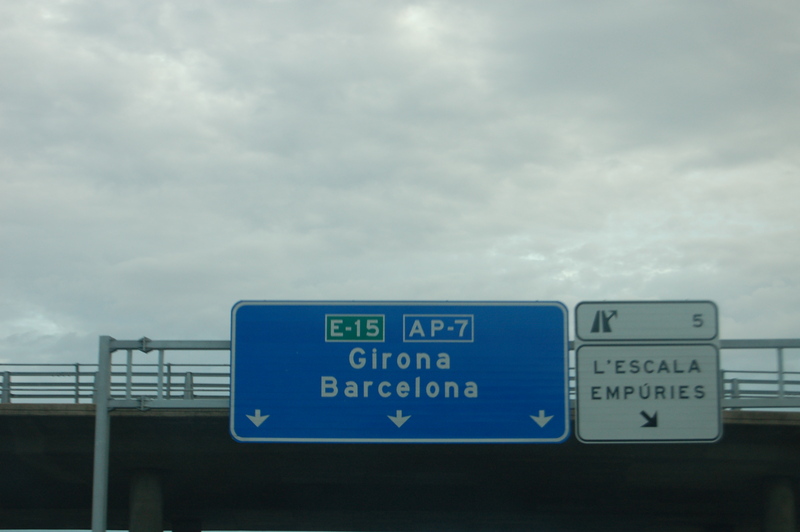 Arriving in Barcelona we were excited but a little tired and ready to check in and relax, little did we know how our Barcelona experience was about to unravel……. 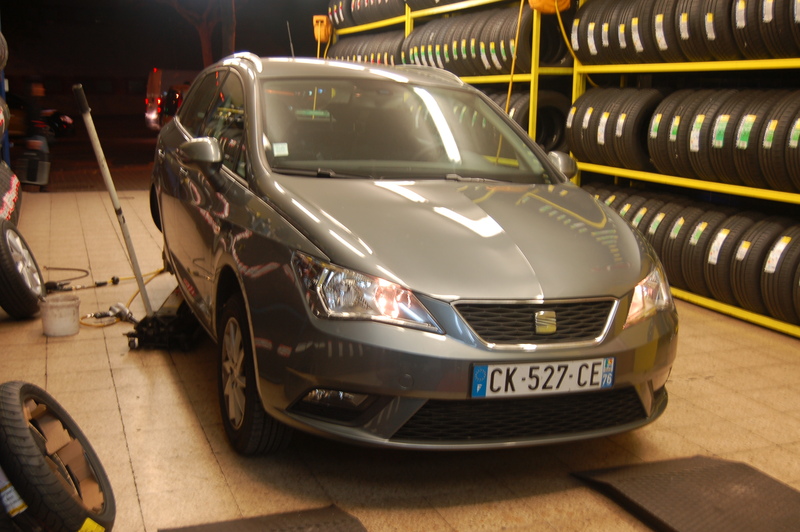 The flat tyre scam – As we took our exit off the motorway and came on to the main road leading into Barcelona, our car started jolting and making a strange noise which we soon realised was a flat tyre, a little confused we pulled over hoping it was salvageable and we could make it to the hotel. After pulling over we jumped out of the car to inspect the damage, when we were approached by a “nice motorcyclist” who was offering us directions to a garage…..however as we were being distracted by the motorcyclist we hadn’t notice the man behind who was about to jump into our car and drive away!!! Lucky for us a genuinely nice Spanish couple chased the thief off and we managed to save our car and all our valuables just in time. It turns out this is a well known scam in Barcelona where motorcyclists fit blades into their shoes to puncture your tyre while on the road, hoping you will pull over and that they can distract you while their ‘partner in crime’ tries to steal your things! Thankfully after a long wait for the AA and a change of tyre we finally made it to our hotel and managed to get through the rest of our weekend scam free, and undeterred to enjoy our Barcelonan Experience. Waking up the next morning I was glad to see the city was every little bit as beautiful as I had expected. Some of our favourite sights over the weekend included;The Sagrada Familia – a famous church within Barcelona designed by Gaudi, a Catalan architect. 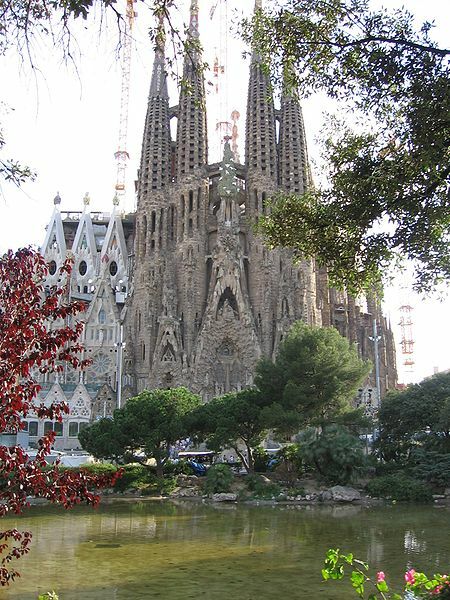 Construction of The Sagrada Familia began in 1882 and still continues today! 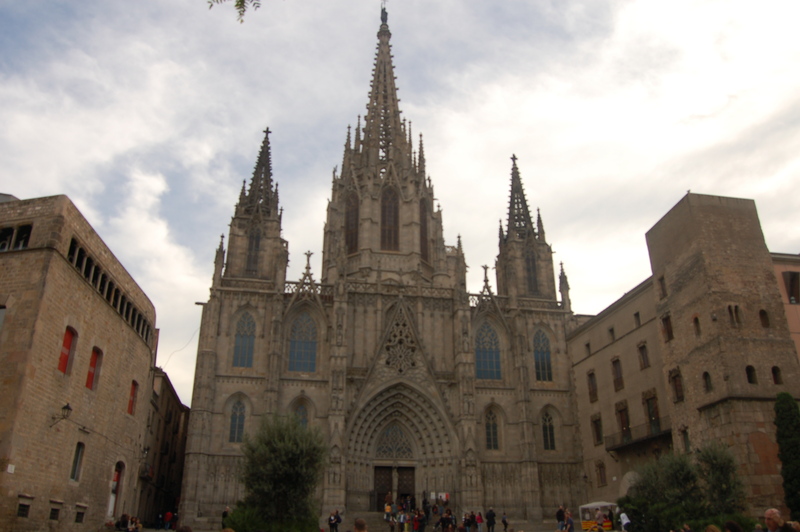 La Catedral – A beautiful gothic style cathedral dedicated to Eulalia of Barcelona, the co – patron saint of Barcelona. 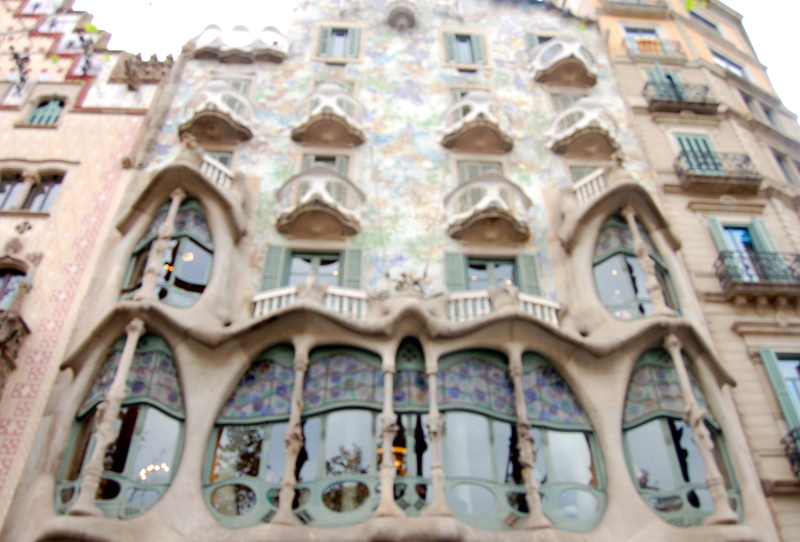 Casa Batlló – The restoration of a house by Gaudi in 1904 that had been originally built in 1877. Nou camp – FC Barcelona’s Football stadium, a little less cultured but definitely a must see when in Barcelona. It was a wonderful weekend in all, and even our near scam disaster helped add to experiencing the true culture of Barcelona (although I’m sure I wouldn’t being say that right now if our car had been stolen). I can’t wait to go back as I feel we have only skimmed the surface of a city full of gems. So I am almost a fully fledged Frenchie….. Sorry for the lack of posting in the last week, I have been busy becoming a fully fledged Frenchie….. I bought a car this week which I couldn’t be more excited about as it means I can finally get around by myself, and that I can avoid some of the strange men I have met on the public transport so far……it doesn’t matter what country you are in there is just something about strange men and trains!! Buying the car was an experience in itself, the sales guy didn’t speak English but with the help of google translate and a kind French friend we got there in the end. My next step is learning to drive on French roads, this is something I am not looking forward to after being a passenger on the roads over here….I’m sure there are many car stories to follow! I also started a French internship course this week, after arriving in France I was lucky enough to come across a language school that not only provided an intense language course but that helps you to get an internship with a French speaking company once you have finished the course. My first day was every bit as terrifying as I expected, after navigating my way around the public transport for the first time I arrived to find that the majority of the class was Spanish speaking and not English speaking….Although I learnt Spanish at school my Spanish is much to be desired and presented a whole new challenge, not only was I learning to speak French, but I was now attempting to remember any Spanish I had previously learnt. I was over the moon when half way through the class I figured out there was a couple of Americans, and English hiding in the crowd and that they had just been sat quiet as mice like myself trying to figure out if there were any other English speaking people in the room. I can definitely say my second day was a much more positive experience, I knew where I was going, what to expect and felt a lot more settled…I was even brave enough to attempt bungled Spanish talk in the break with the other girls my age, who knew that I’d be learning French and improving my Spanish at the same time. 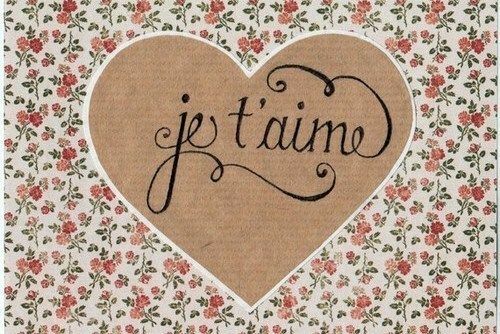 Although only 3 days into my course now, I feel like I have learnt so much already, and I’m so excited to be able to practice my French out in public, although I am more than prepared for some of those awkward moments when nobody has a clue what you are saying…..My next challenge is to create a French CV and cover letter, something I’m not sure I’m ready for quite yet, only time will tell!! 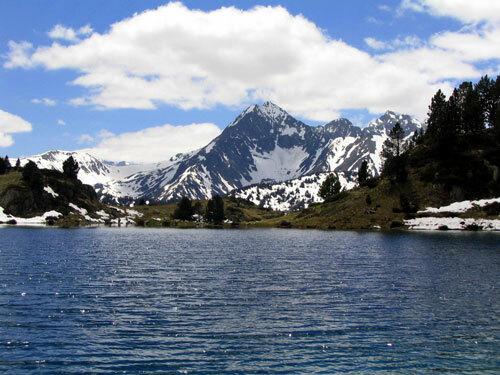 Must sees in the Midi Pyrénées continued…..